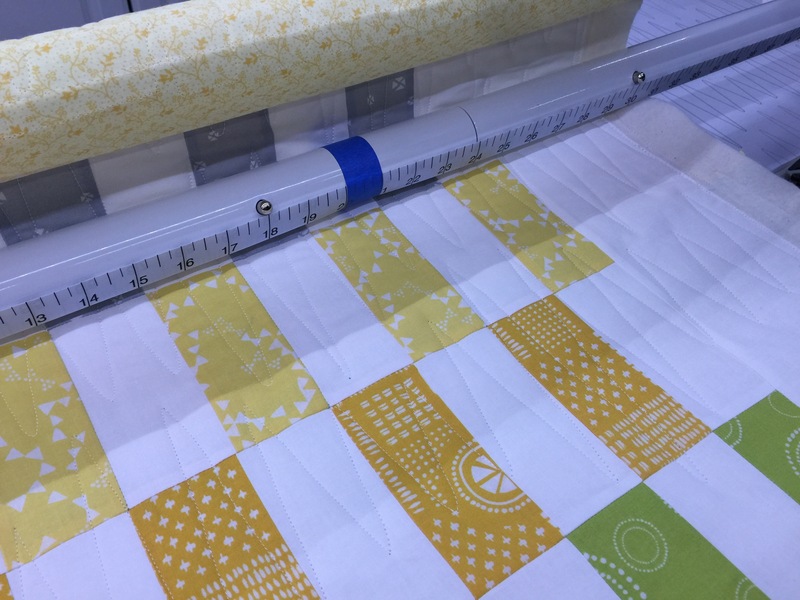 This baby quilt pattern is so quick and easy and it will soon be done! It quilted up quick as a wink. 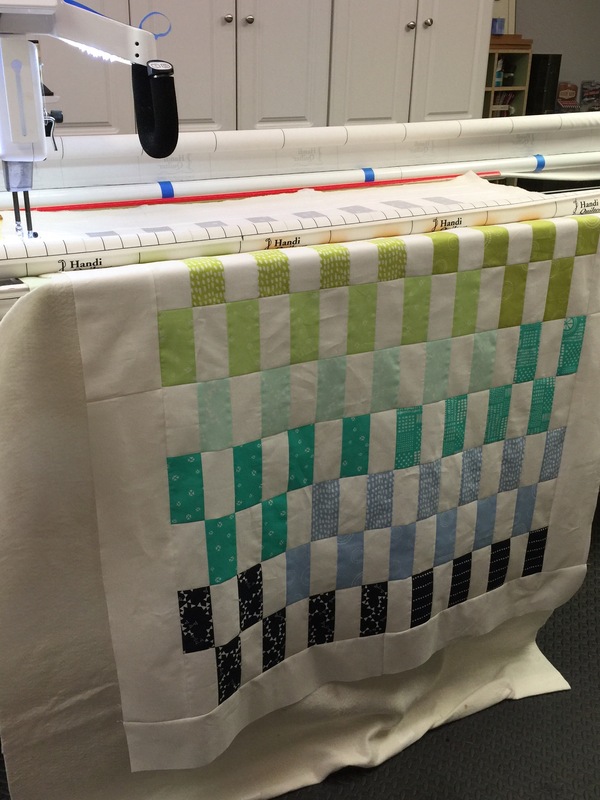 I used this new pantograph to quilt it. Once I started, I decided I wasn't in love with it. But that's one of the great things about baby quilts, they are small! 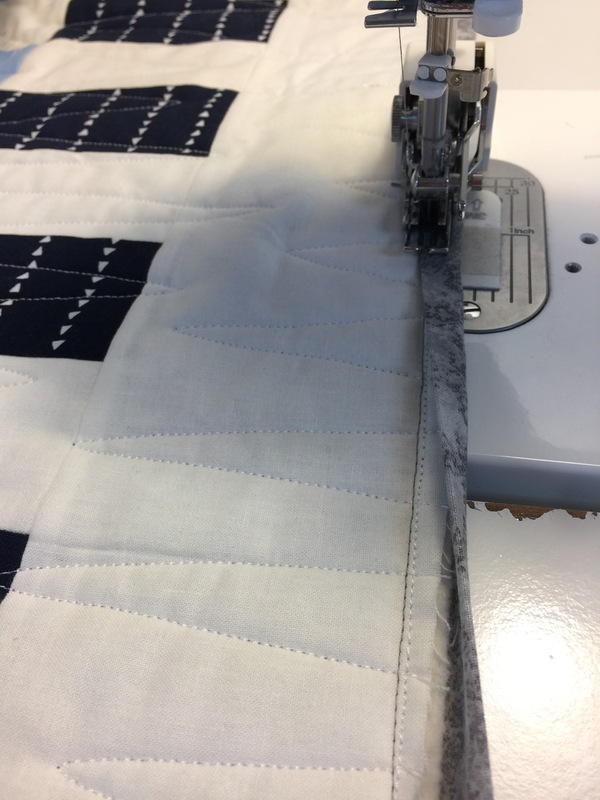 I'm not great at binding by machine, but I'm working to get better at it. I have carpal tunnel and hand binding doesn't help. Come back tomorrow to see the finished quilt!